- StoryLine For The Ranks! Working on a site for a mc server i'm manager. Hello everyone today i'm Trying to do Fortnite pistol and sniper challenges but don't do them. Thank You For Watching This Video. You were A Big Help Towards My Channel. need help fixing the navbar on my site. it flickers once i start to scroll on a page and it supposed to stay at the top of my site but it does not. ACG is open to the Public. Actaeon Gaming Community is a dedicated Gaming Community for Grand Theft Auto 5 emergency Roleplay, Fortnite players, Minecraft Survival enthusiasts. Our Grand Theft Auto 5 Server based off of New York State and offers Many department from NYPD, NYSP and FDNY. We Hope to see you soon with one of the newest public Communities ran on the Enjin Platform. 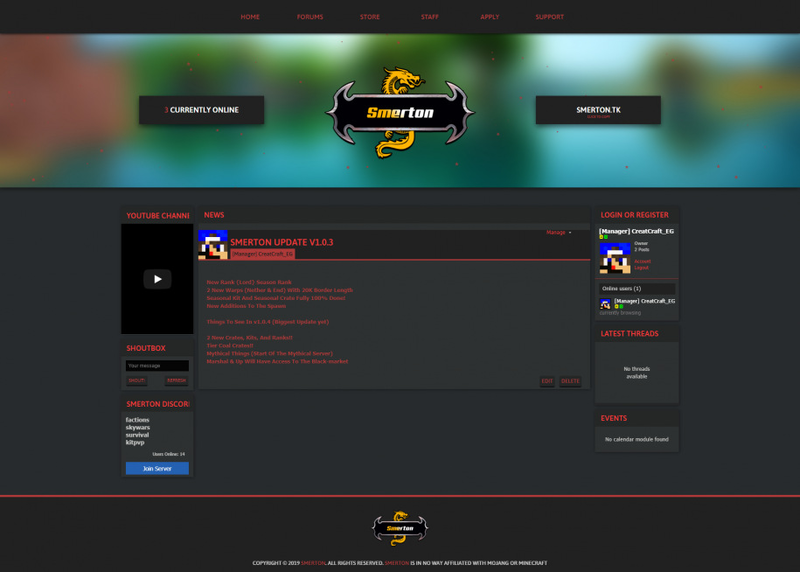 Actaeon Gaming Community is gaming community for Gta Roleplay, Fortine, Minecraft, and other games. Custom garage built for anyone. Thanks for reading, I hope to see you soon! Feel free to come talk to us anytime to learn more about us!! We have many positions open for staff in many of are games. Anyone looking for a new Fivem Server to be part of with nice members. Well on my Fivem Community the first application to be sumbitted after this post will get a Supervisor position in BCSO. With this we also have a unique way we run are police departments in are server that has not been seen anywhere else. Proud to see applications being sent in on my site hope to see more soon.